Going forward, Allo and Duo will be Google's main consumer-focused chat apps. It's been more than three years since Google formally launched Hangouts. It was an effort to take the popular Google Talk IM app into the mobile age, but it came late to the party. Lots of competitors like Whatsapp, Facebook Messenger and iMessage were firmly entrenched in mobile chat by the time Hangouts came to life. Despite finally getting a chat and video-calling platform out for every platform, Google announced at its I/O developer conference earlier this year that it was trying again. A new video chat app, Duo, is now available, and a radical new text-based messaging app called Allo is coming soon. Ever since they were announced in May, Google users have wondered: What's to become of Hangouts? Google's VP of communication products, Nick Fox, was willing to talk about that when he gave me an early demo of Duo last week. As Google said earlier this year, Hangouts isn't going away -- but the company will now focus Hangouts on its business users. Going forward, Allo and Duo will be the company's main consumer chat plays. "Because Hangouts is built on a Google account, because it's deeply integrated with Google apps, the Apps suite [things like Drive, Docs, etc. ], Gmail, Calendar and so on, it's seen much more success in the enterprise," Fox told me. "It will increasingly focus on that kind of group collaboration enterprise productivity space." Duo's focus is extreme simplicity, and anyone who's used Hangouts for any length of time will admit it's not the simplest of services. 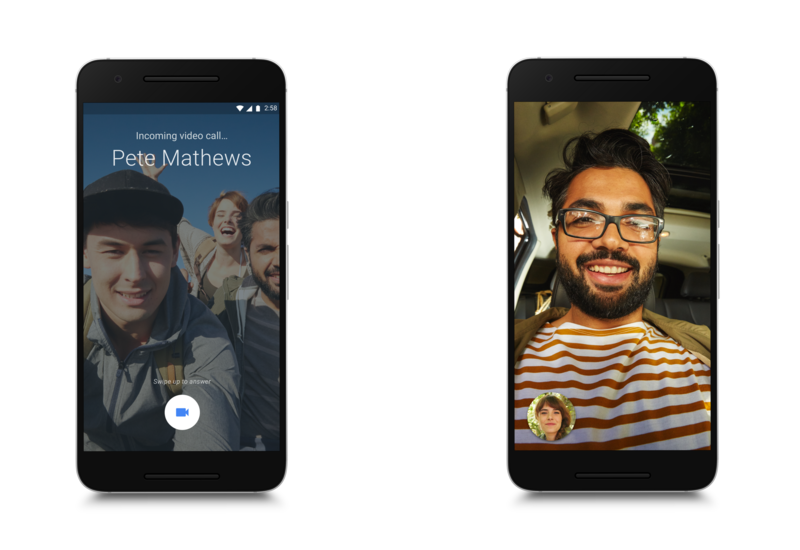 For example, you can do video calls with multiple participants in Hangouts, while Duo allows only one-to-one video calling. That need to make things easier is likely why Google wanted a clean break with the rollout of Allo and Duo -- they aren't tied to your Google account or any of its previous communication services. Fox also said Google recognized that it didn't make sense to have one app do everything, something we've seen from companies like Facebook, which controversially broke messaging out of its main app. "We've historically tried to do a lot in a single app, but the reality is that [video and text] are pretty different types of communication," Fox says. "We see them differently, and we think we'll be able to build the best experiences by building focused experiences that do what they're intended to do really, really well." That doesn't mean there won't be consumer confusion going forward, however. Hangouts will continue to exist, and many consumers will certainly still use "Gchat" when looking at their email in a browser. But when they go mobile, Allo and Duo are entirely separate experiences with no desktop equivalent. 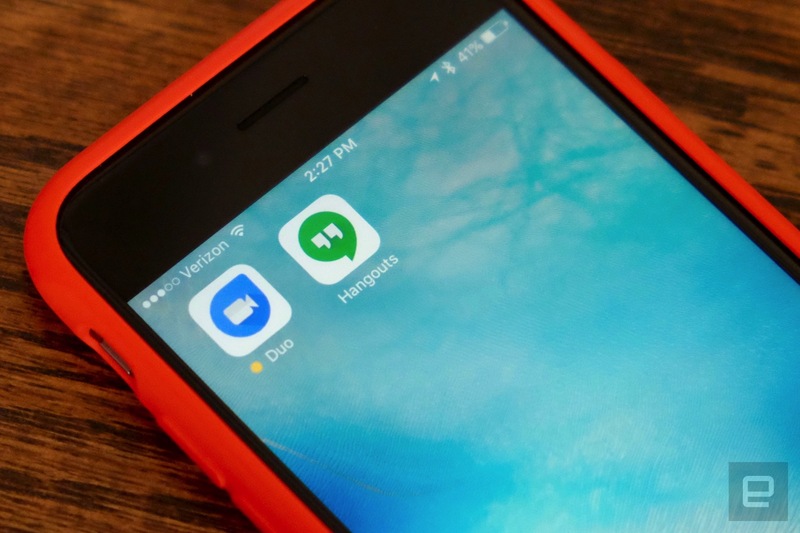 Google may be focusing Hangouts on the enterprise crowd going forward, but there isn't a clear path to moving consumers from Hangouts to Allo and Duo. Of course, for lots of users, that likely won't matter. Google is right to make mobile its focus because that's clearly where consumers are. If Duo and Allo are successful, Hangouts will simply fade into memory, used by people who need its more-robust feature set. It's not what Google had in mind when the product launched three years ago, but sometimes a reboot is necessary.